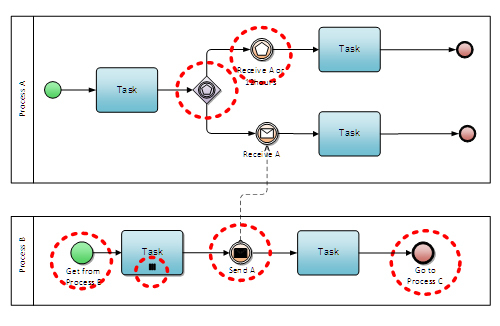 How Can I Visually Recognize the Version Of BPMN Used In Diagrams? Home Subject Areas Latest BPMN Articles How Can I Visually Recognize the Version Of BPMN Used In Diagrams? BPMN is already recognized as a mature business process modeling notation, which was initially introduced in May 2004. Since the initial release, the notation as well the underlying technology has surpassed several major revisions (Figure 1). 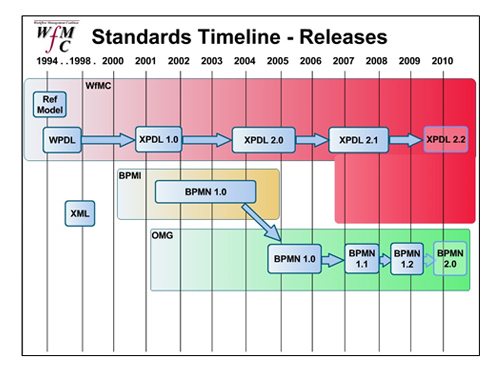 As evident from the Figure 1, there are four major releases of BPMN, where the actual release dates differ slightly from those illustrated (planned) in the Figure 1. The latest revision, BPMN 2.0, was introduced in January 2011, where the release dates of other BPMN versions are presented in Table 1. Despite that more than two years have passed from the introduction of the latest BPMN revision, a simple Google search shows that there are still many BPMN diagrams based on previous versions (Google “BPMN” for images). Older versions of BPMN are less mature, less consistent and less capable of being automated. There is a higher probability that older BPMN diagrams are outdated and more prone to errors as the newer ones. The oldest, BPMN 1.0 -based diagrams can mainly be recognized by BPMN 1.0 specific elements, which were removed or redesigned in the following BPMN versions. 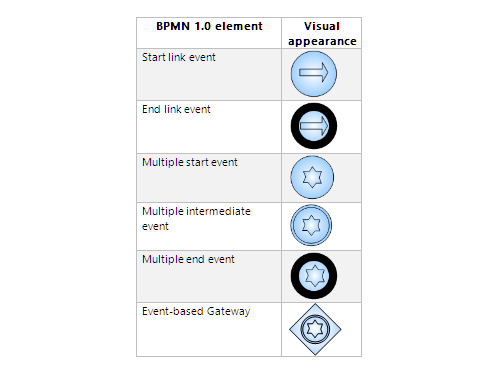 These, BPMN 1.0 -specific elements are presented in Table 2. Another BPMN 1.0 specialty is that version 1.0 does not yet distinguish between ‘catching’ and ‘throwing’ events, which is evident from the BPMN 1.0 diagram below (Figure 2). Figure 2 represents a valid BPMN 1.0 diagram, where the encircled elements are specific for BPMN 1.0. 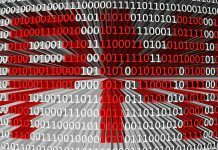 In this article, BPMN 1.1 and 1.2 revisions are investigated together, since they define the same visual elements. BPMN 1.2 just did some cleanup in the ‘background’ affecting modeling tool vendors more than modelers. 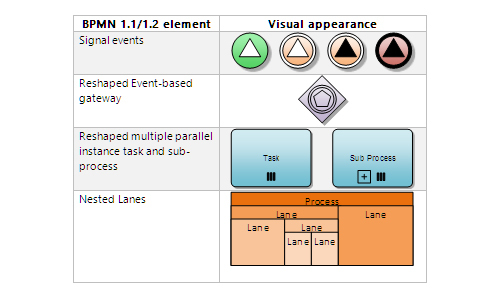 BPMN 1.1/1.2 diagrams can be differentiated from BPMN 1.0 diagrams based on some new or reshaped elements (Table 3). In addition, all intermediate events were divided into two groups – ‘catching’ (represented with white event symbol) and ‘throwing’ (represented with black event symbol). 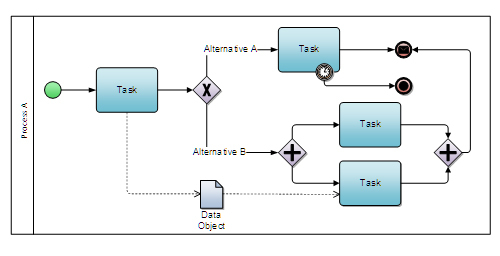 Figure 3 represents BPMN 1.1/1.2 version of the diagram, which was presented in previous figure (Figure 2). 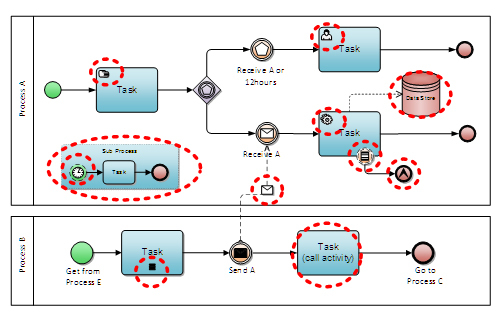 The encircled areas represent elements which changed from the previous BPMN version. BPMN 2.0 is the greatest revision of BPMN since its introduction, where the improvements were done to visual BPMN elements as well to the interior (e.g. BPMN meta-model and BPMN semantics). Since BPMN 2.0 introduces several new visual elements, BPMN diagrams can be distinguished from the previous revisions (Table 4). 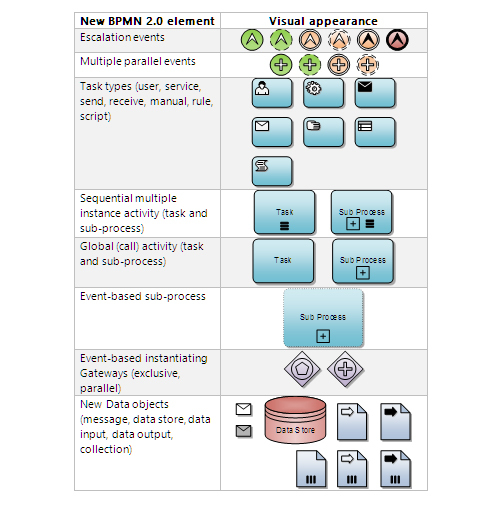 As evident from Table 4, the BPMN 2.0 introduced new types of events in two dimensions – new types and new context of use. Besides, start, intermediate-catch, intermediate-throw and end events, BPMN 2.0 supports ‘event sub-process starting events’ and ‘non-interrupting events’ (dotted lines). Figure 4 represents a valid BPMN 2.0 diagram (based on Figure 2 and Figure 3), where the encircled areas represent BPMN 2.0 specific elements. 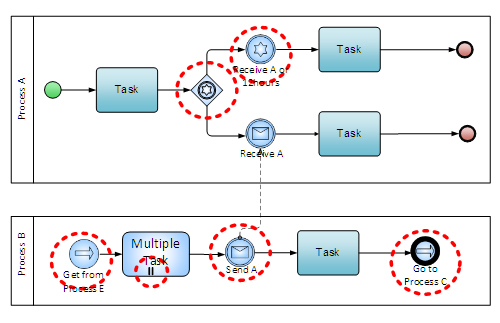 In addition BPMN 2.0 introduces two new versions of diagrams – conversation diagrams (Figure 5) and choreography diagrams (Figure 6). Conversation diagram represents conversations between participants, where the choreography diagram focuses on between-processes interactions and message flows. 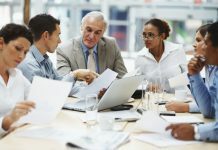 This article highlighted specifics of major BPMN revisions, which can help to visually identify BPMN diagrams versions and assess the corresponding diagrams’ age. However, readers should be aware that version of BPMN used in a diagram can be identified only if the diagram involves the elements, which are specific to individual BPMN versions. 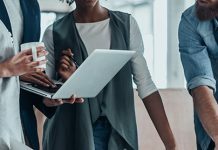 Since a great amount of BPMN elements are common to all revisions, the identification of the BPMN revision cannot be performed based on the visual appearance. For example, the diagram presented on Figure 7 is valid for all major BPMN revisions. Gregor received his PhD in 2008 in the fields of software engineering and information systems and has nearly a decade of experience in BPMN, starting to investigate and actively use BPMN since its introduction in 2004. In addition, he has participated in the development of one of the first BPMN modeling utilities - a package of plugins for Visio, which were introduced early in 2005 and is the main author of the first BPMN poster (bpmn.itposter.net), which has been translated into several languages and already exceeded 50.000 downloads. 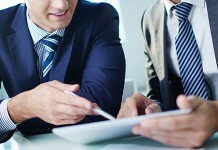 What is a ‘Process Stakeholder’? You’ve Completed the TOGAF Course! What Do You Think? 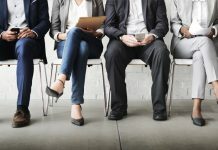 Do I Really Need To Do the Preliminary Phase Again?